There’s a new trend across the world (well, it’s not that new, to be honest) that plastic is not really safe. Naturally, there’s a lot of support behind this theory from the scientific field and, as such, it has a lot people choosing to skip plastic containers like tupperware, baby bottles, and travel mugs. Are you among these people, just another person who doesn’t really want to risk it? If so you might want to go for a travel mug with no plastic parts. Many people turn to metal models. However, that doesn’t mean that metal is for everyone. There’s another alternative that quite a few people have been using- they have shifted to glass mugs! 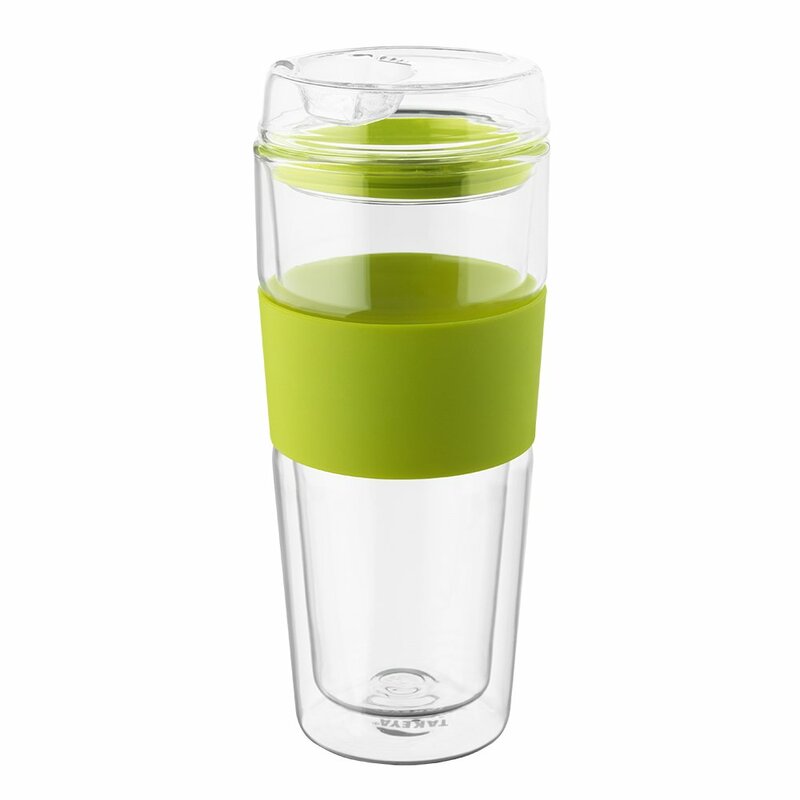 The most common glass travel mug sold these days is probably one of the many Joco glass coffee cups. 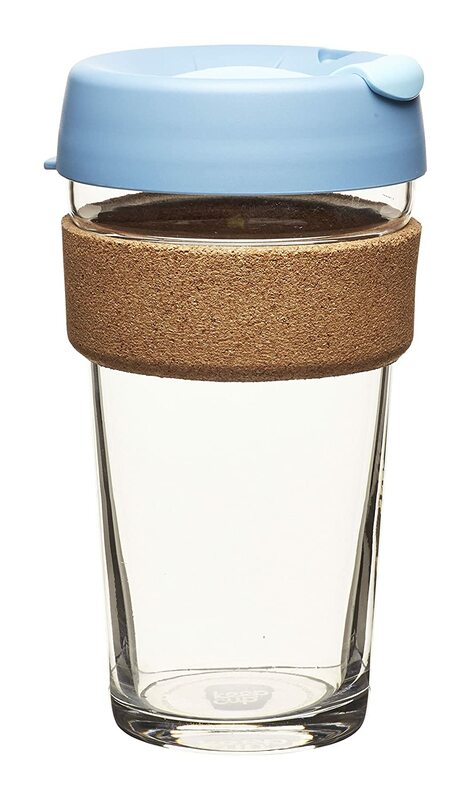 They are basically just like regular travel mugs except they are made of glass and use a silicone sleeve to keep your hands from getting to hot. Yes, you heard me right, these are the models that are made of good quality glass. Seeing as humans have been making and using glass long before they discovered plastic, it comes as no surprise that this applies to coffee mugs, as well, and you can count that as a good referral for shifting back to them! Joco, however is not the only good option in the glass travel coffee mug category. There are lots of others to choose from. Below I’ve reviewed a handful of the best; surely you’ll find something you’ll love below. Naturally, there are quite a few models available in the market. However, that doesn’t mean that all of them are equally worth your money or attention. That’s why we have at Gamble Bay Coffee have taken the time to shortlist quite a few of them for you, so that you can actually stay informed about which models would be the best choices. We’ve taken several factors into consideration while compiling this list and we’re also going to talk about that so that you can judge the model once again keeping your needs in mind in order to find the best one for yourself. So, let’s get to the list. The model provides you with a glass sip lid, so that you can calmly enjoy your beverage without having to go through any kind of hassle. This also has a double walled structure that makes it well-insulated. 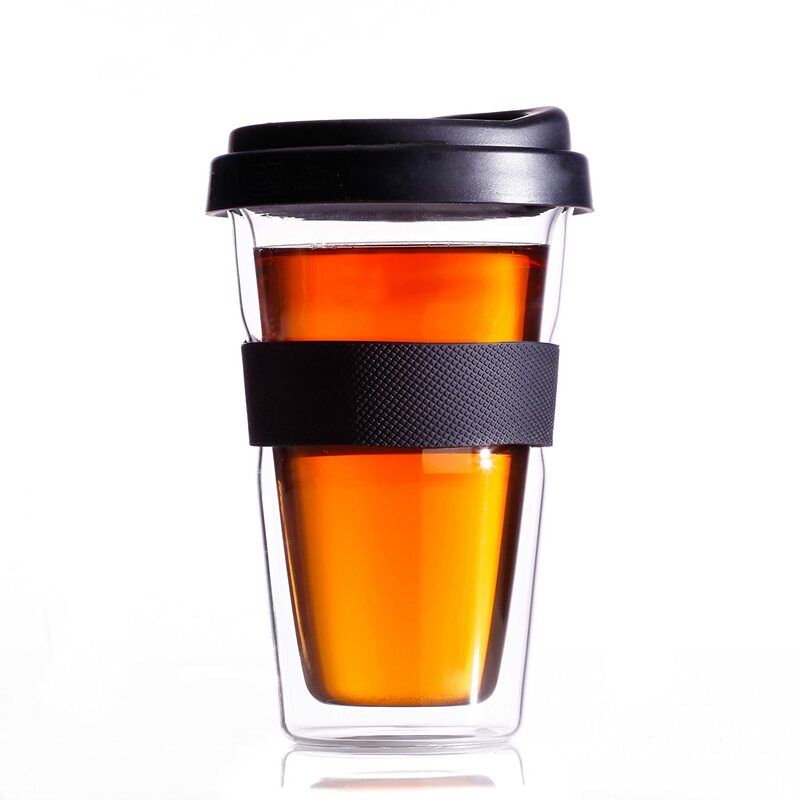 It has a leak-proof silicone seal and a silicone non slip grip, ensuring that you can enjoy your coffee without having to share it with your bag or the ground. This model boasts of a capacity of 16 ounces- this is a fairly standard size. It is made up of fully-tempered soda-lime glass that makes it tough, durable and ultimately makes it worth your money. This model also provides you with a lid manufactured from polypropylene that is BPA free and has been certified as completely safe and non-toxic. The lid is splash proof and seal-able and it also has a special plug that lets you use it as a sipper hole- now that’s true versatility! It’s also microwave, which is convenient to heat up your coffee. It’s also lightweight enough to carry around properly. Of course, quality hasn’t been compromised on to make it lightweight. All the people who have used this model seem to love it. Reviews from people who have actually used a model are a great source for knowing how the model really performs. It is, however, interesting to note that this model does not really have a name for insulation and it doesn’t boast of that. In fact, it doesn’t have any features to ensure any special insulation, so you can expect the same insulation as you would get from a regular glass mug with a lid. This travel mug also boasts of a capacity of about 16 ounces, just like the last one. 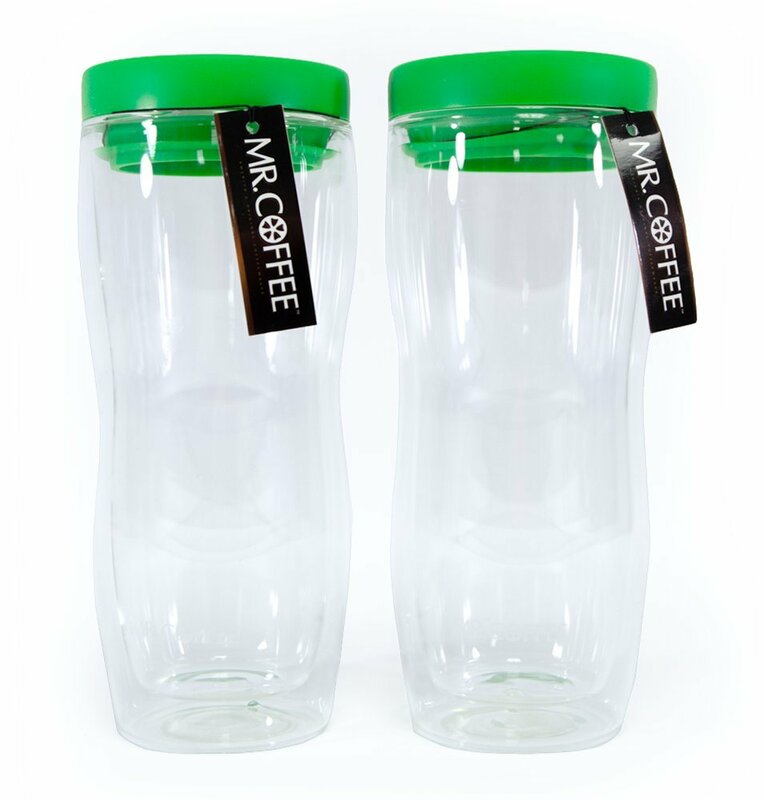 Mr Coffee is one of the most loved line of products that operate in the market for coffee appliances and utilities. 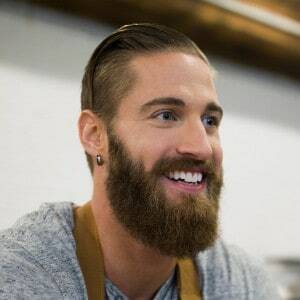 If you’re ever looking for a model in that market and you find a Mr. Coffee model, you can be pretty much sure that you aren’t far from one of the best options you can find. What’s it offering? Provide you with a really safe design- the double wall design. It both protects your hand keeps the coffee warm at the same time! 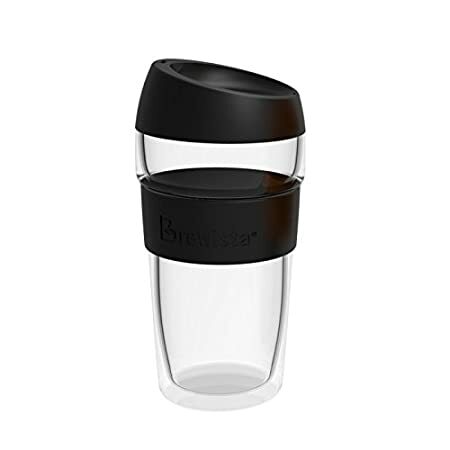 This model also comes with a comfortable drink through the silicone lid, so that you don’t have to go through the hassle of removing and replacing the lid every time you want to use it. However, this model is not dishwasher safe- that’s one of the main complaints that people have against it. This makes it harder for you to clean it, so that’s something to keep in mind. This model boasts of a capacity of 17.5 ounces. This model provides you with a double wall structure, too, making it well insulated and less likely to burn your hands. This model has been made of borosilicate, making it durable and worth your investment. This model is dishwasher safe, so it’s easy to clean. This model has a capacity of about 10 ounces. This model is also made of durable, tempered borosilicate glass. It also has a double wall structure ensuring that it’s well insulated. Non-slip silicone grip and lid stay firmly in place for worry-free sipping. However, it is important to note that people have some serious concerns about the quality of the lid of this model. People say that the lid often breaks, even on the first attempt to use it, so that’s certainly concerning. I’d suggest doing proper research about it if you’re planning to go for this model to ensure that you get a quality product. Finally, this model boasts of a capacity of about 15 ounces. Of course, there are some things that have been considered while compiling this list and it is really indispensable that you know about them. That’s the only way in which you can actually judge all these models properly according to your specific needs. The models have to be glass models. Glass technically falls under the “ceramic” label, but this list isn’t about ceramic mugs. Next, insulation has been considered. When traveling, you might not drink your coffee right away, making insulation an important thing to consider. Features such as better grip and leak-proof seals have been taken into consideration. It’s the little details that count, so these have been given special attention. And at the end of the day, the economic side of the story has been considered, as always. This might sound really common, or even cliche, but there’s simply nothing to do about it. Affordability is important to almost everyone. Now, all of these factors have been considered while compiling this list for you. Thus, this list is the result of quite a bit of our judgement. However, it is important that you judge the models according to your own specific needs. That’s something that’s completely indispensable if you ever wish to find the best one for yourself. Keep in mind that the best model for you isn’t the one that’s best for everyone else. It’s the one that serves all your needs at the most affordable, or most reasonable, price- this is one of the things that you must always keep in mind to be a smart shopper. Now, of course, there might be quite a few questions in your mind and it’s time that we came to answering them. As your host, I’d be obliged to answer all your questions. Right now, I’m going to answer the most common ones asked. Should you not find your answer here, feel free to get in touch with me and I’m sure we can find an answer together! Are the large models any different from the smaller ones? Some people look for a better grip feature, while some look for a better insulation. So, the best feature that you might look for varies with your needs, but keep in mind that there is a model dedicated to serving every need and you just need to search properly. For this, you have to know your specific needs. Are all these models really safe? Of course. Safety is one of the main concerns given to the manufacturers. They had to get a lot of certifications from a lot of organizations to be able to produce them on this scale. Also, all of these are pretty large companies, so you don’t really have to worry a lot. The fact that they are safe is also further proven by the people who have used them and love them. So, there’s no reason to worry about this. So, at the end of the day, all these models (and even more) are available for you to buy, but you must keep in mind that it’s not just going to the market and buying a model. It’s worth it to do your research, first. You have to judge every model based on your needs and find the one that’s the best for you to make the best purchase! Gamble Bay Coffee understands that you want don’t want to waste money on an unsuitable product and we stand by your side all the time, so don’t hesitate to reach out to us with anything to ask or discuss! We will await you and look forward for your next visit- thank you!